Cruzeiro's midfielder Diego Souza has reached an agreement to join Ukrainian club Metalist Kharkiv. The transfer fee is estimated in 4 million Euros, but Cruzeiro will receive only 50% as half of his rights were owned by Diego Souza and his agents. The midfielder will sign a four-year contract with the Ukrainian club, it has not been decided yet if he will play for Cruzeiro tomorrow against Náutico. 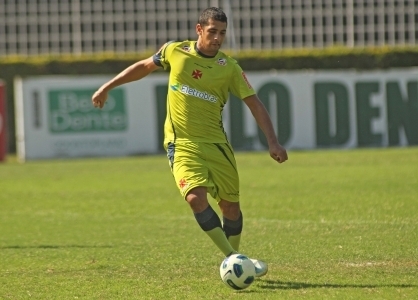 Diego Souza joined Cruzeiro in December 2012, he played 25 games for the club, scoring eight goals. He started his career at Fluminense, and has also played for Benfica, Flamengo, Grêmio, Palmeiras, Atlético Mineiro, Vasco and Al-Ittihad before joining Cruzeiro. Cruzeiro have not decided yet if any player will be signed to replace Diego Souza but manager Marcelo Oliveira believes players that are already in the squad, such as Élber, Martinuccio and Lucca, will be good replacements.